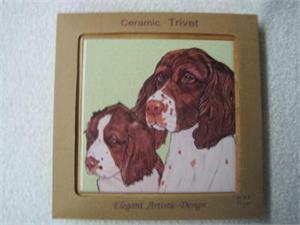 Colorful Springer Spaniel Ceramic Trivet framed in pine, perfect for any pet lover's home. Use for a hot plate or hang on the wall. Soft non-slip cushions to protect your delicate surfaces. 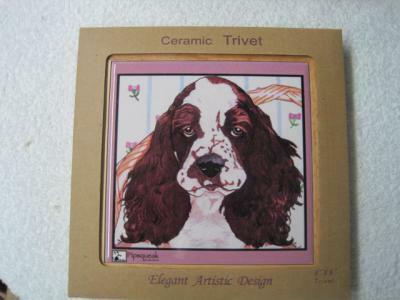 Pre-drilled holes allow you to hang this lovely English Springer Spaniel ceramic artwork easily.